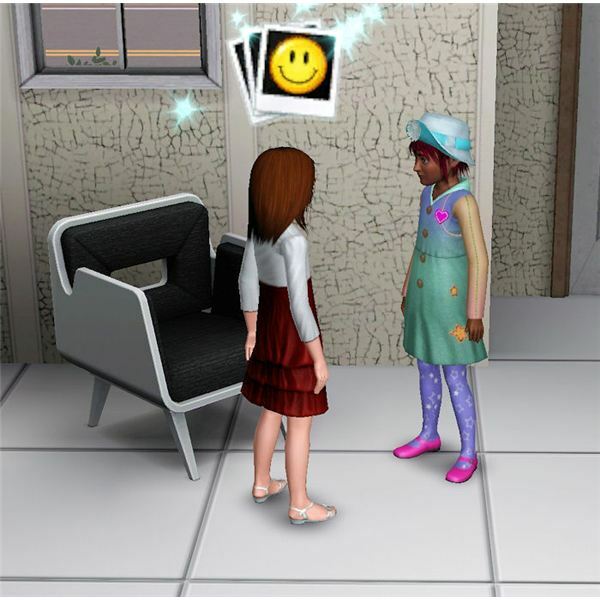 In “The Sims 3: Generations” expansion pack Sims can now make and share memories. The Sims 3 memory system is a new way for Sims to store their memories of special events that happen to them while playing. This is a more interactive way of players being able to store events in their character’s lives. Memories are created automatically when something happens to trigger it. The game makes just about everything be a memory and can include everything from going to the park, seeing a ghost, woohooing, and much more. Players can also capture their own custom memories to add to their scrapbook of memories. To take this even further, players can also login to a social networking website such as Facebook and share their Sims memories with their real life friends. Another new thing that was added with this expansion pack that somewhat goes with this new system as well is the addition of video cameras in-game. These new electronics are able to be used by the Sims and they can capture scenes that they can then play on their televisions at home. This new addition to the game is able to be viewed from the user interface. The button to find the memories is found on the main “Simology” tab under the Celebrity button and it is called the Scrapbook. Each of the Sims in a household have their own memories. The Scrapbook section is shown with all of the Sims in the household. There are three sections that are included: Memories, Statistics, and Biography. The Memories tab shows the memories of the Sims that have been collected so far. Up to 300 memories can be stored with mini screenshots and information about that particular memory. Clicking on a specific memory will allow you to see exactly what the memory was of, have the option of editing it and then also sharing it with others or deleting it. To view a specific Sim’s memories, you will have to have that Sim selected when you push the Scrapbook button. Pretty much everything becomes a memory in the scrapbook. Going to school, learning a skill, going to the park, getting married, having The Sims 3 WooHoo, turning an imaginary friend into a real Sim and much more are all memories that are added to this section. Editing it often will help to keep only the best memories included in it. The Statistics tab shows the main stats for memories of all of the Sims in the household. This includes: Total Memories, Unique Memories, and the Sim’s reputation. 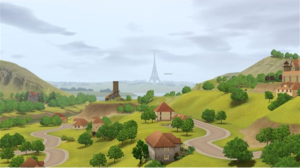 The Sims 3 reputation is a new addition as well which shows the romantic reputation of the Sim. This includes their reputation of being faithful or a cheater, how many romances they have had, how many betrayals they’ve had, how many times they have cheated, how long they have been in a romance, and who their longest relationship has been with. The Biography tab is something that the player is able to edit to make their own bio for their Sims. When a player is logged in, they are able to share memories with others on The Sims 3 website and also on Facebook. To do this with memories that your Sims have already captured, simply go to the Memories tab and then select which specific memory it is that you would like to share. Uploading the memory to The Sims 3 website will add it to the player’s uploads for the site. Sharing The Sims 3 memory on Facebook is different. To do this, you will need to select that option and then login to Facebook via The Sims 3 Application for Facebook. Approve the request for permission for the app to gain access to your information and post to your wall in order for this to work. Once a player starts sharing their Sim’s memories, they will be able to start unlocking new rewards for sharing the memories. To see how many you have unlocked and how many you need to unlock for the next reward, view the Statistics tab. To download these new items, open the “Download Dashboard” and select the items that were unlocked to download into the game. Note: There are countless boring memories that are able to be stored for your Sims. Don’t share the lame ones with bad photos to your friends on Facebook. Instead, wait and only share the ones that are interesting such as going to The Sims 3 prom and ones that also have good pictures. Sharing all of the memories all of the time will lead to rather annoyed friends that will start to ignore all of your Facebook posts and updates.